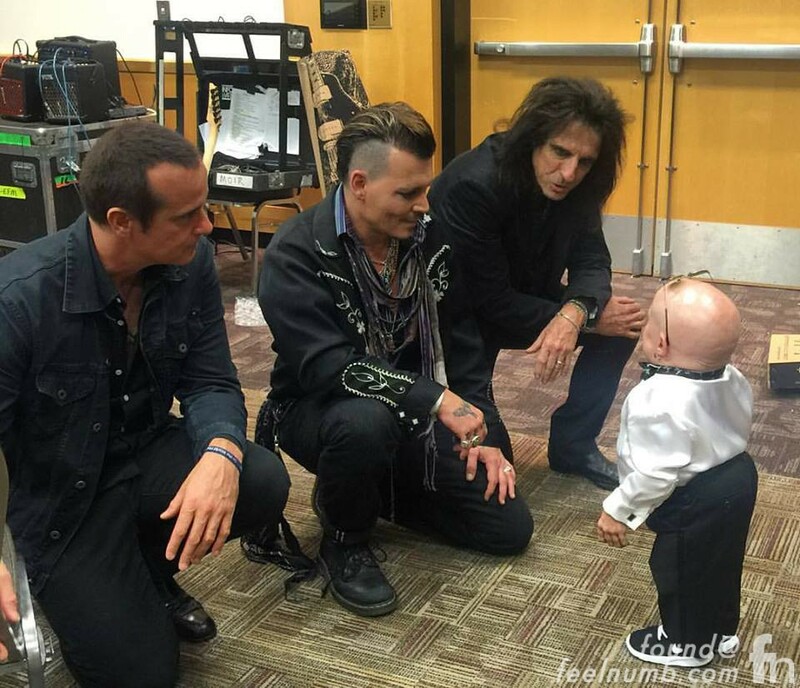 July 17, 2016 – A friend of mine Ray Hughes who manages Verne Troyer posted this cool photo and allowed me to share it on feelnumb.com. 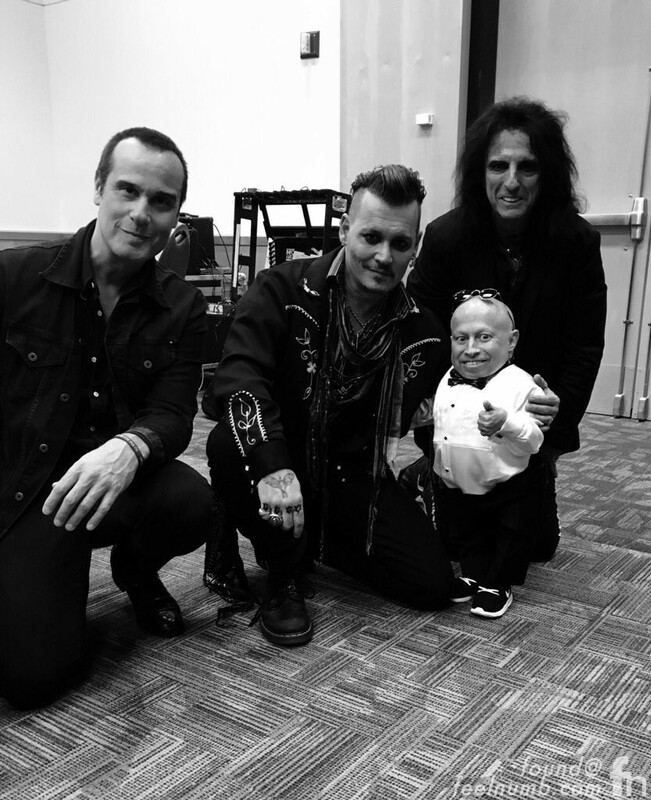 Verne aka “Mini-Me” catching up with Johnny Depp, Alice Cooper, and Robert Deleo (Stone Temple Pilots) before their Hollywood Vampires set backstage at the 16th Annual Starkey Hearing Foundation Gala in St. Paul, Minnesota. Pretty f’ing sweet. Thank Ray. Check out another feelnumb.com exclusive posted by a friend of mine.